receivers are currently one of the FTA receiver in the world currently. They are DVB-S2/S and support full HD 1080p. The decoders are enabled with MPEG2 and MPEG4 video and can receive up to 6000 premium and FTA channels. 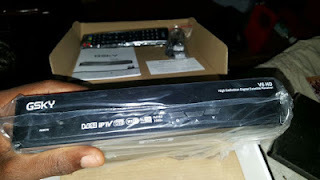 You can get a GSKY PowerVu receiver for about N20,000 or less depending on seller.